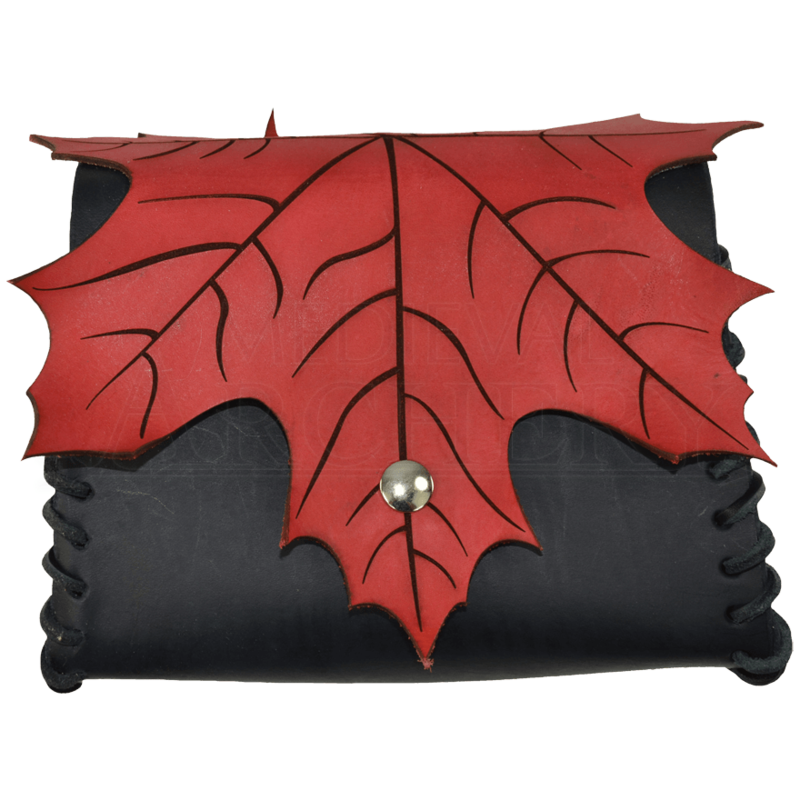 If you are looking for a pouch to carry your things in and want something that is a little less plain and a little more natural looking, then perhaps the Elven Leaf Leather Pouch is the right accessory for you. It is effective, stylish, and leaf-like. This pouch is hand-made with lace up construction from 3/4 ounce leather and makes for a great fair accessory. It makes for a great accent to elven costumes, or to any other costume that might feature a nature theme, like woodsmen, rangers, and the like. The pouch is simple and easy to use. It slides onto a belt with little to no trouble at all. It features a highly detailed leaf at its closure point, which gives the pouch the natural look that may be needed. And of course, a pouch is more than just a simple accessory. It is a useful utility item that can be used to hold your medieval trinkets or your modern necessities, without anyone ever suspecting that you have them. The leaf has engraved veins and each point on the leaf is molded to curl up slightly to give it a real life like look. When selecting colors, the first color listed is for the color of the pouch. The second color listed is for the leaf.